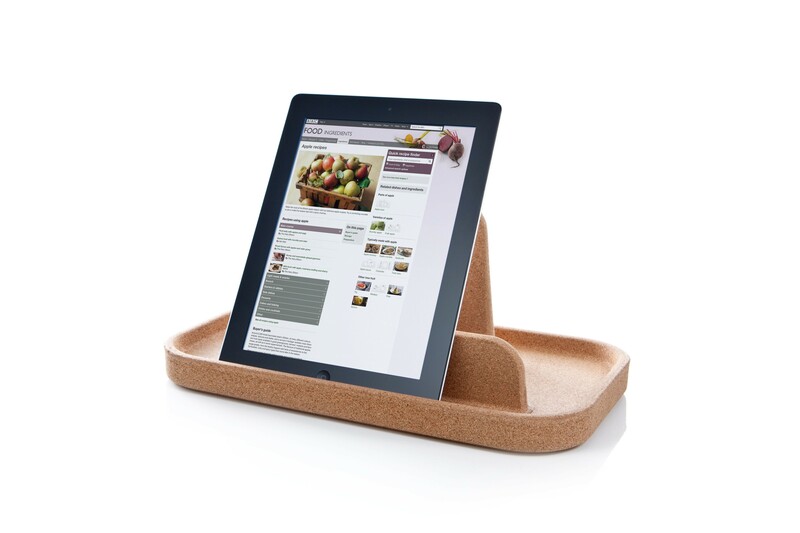 Seeing as it's made of cork, the Table Island is light, water resistant, and somewhat flexible. 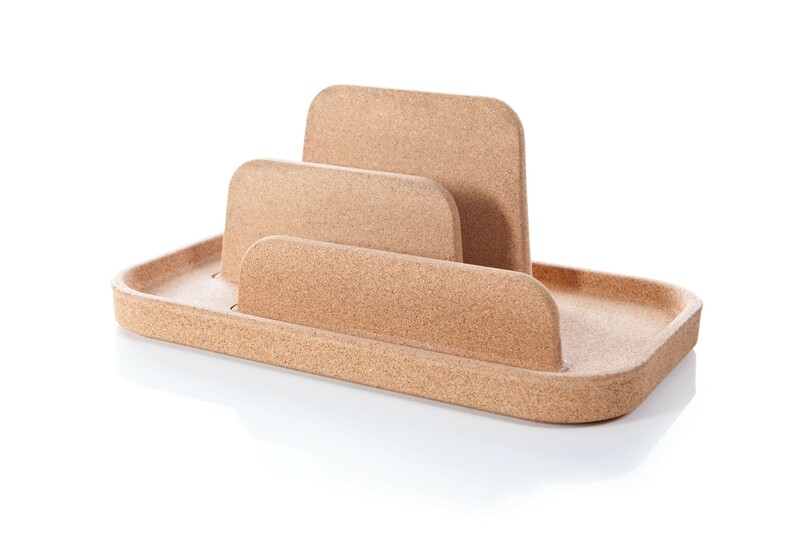 A handy beautiful island in which you can store your day to day objects so that they are easy to find. 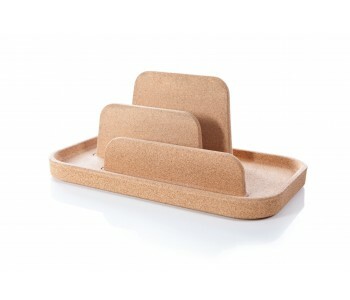 Usable in kitchen or bathroom. A wallet, Iphone, Ipod or Ipad, sun glasses, keys, cards, chargers, just name it. All personal objects, that you use every day. These objects often don't have a set place in home. Or they all have their own space. One thing is laying in the kitchen, something else on your night stand, in your jacket, or on the kitchen drawer. Life would be a lot easier if everything you need every day would be in one set place. Luckily that's possible. Thanks to the Table Island. Table Island of Royal VKB is a functional as well as beautifully designed space that gives all your day to day objects a spot. 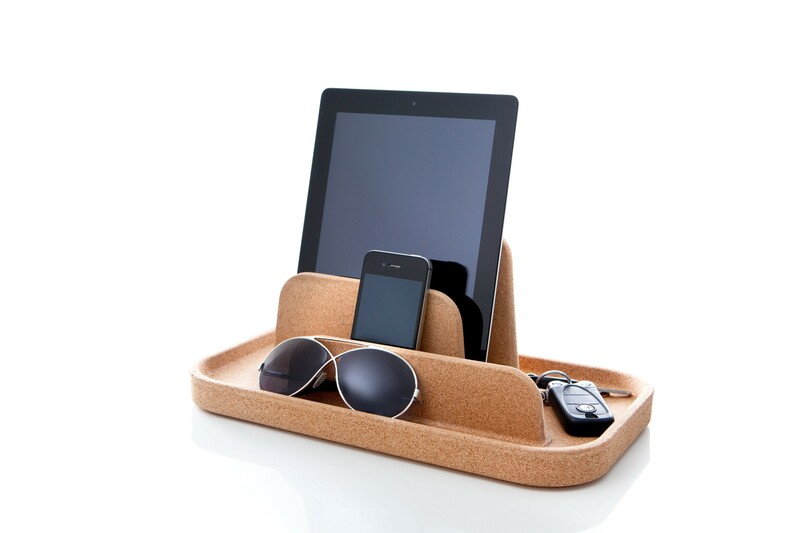 The little 'island' is divided into different compartments, in which your wallet, hone, keys, and your sun glasses fit. It even has a space that is big enough for your Ipad.